in Washington, DC. On right side of the image are two individuals in the hallway talking to each other. I went to Washington DC knowing that it would be a mixed bag. 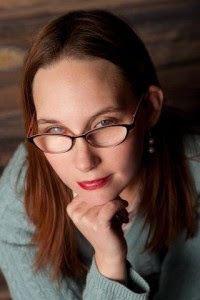 I’m a disability activist living and working in New Jersey’s 11th district, as an accessibility coordinator for a constituent led group called NJ 11th for Change. 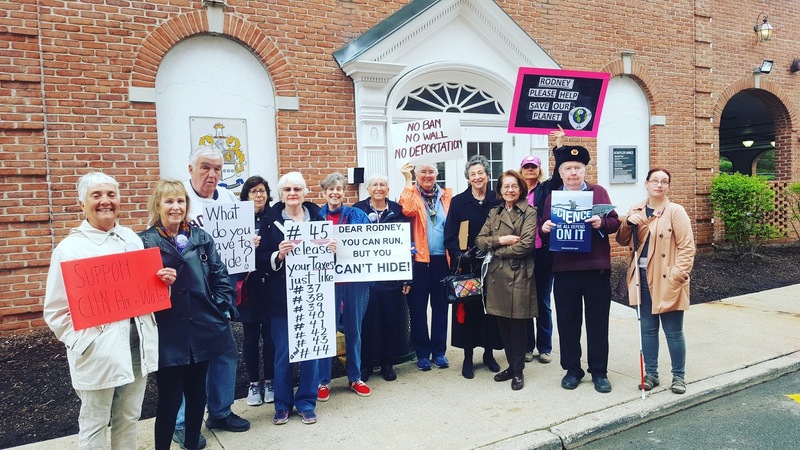 We had secured, after 3 months of asking for a town hall, a meeting with our House Representative, Rodney Freilinghuysen (R-NJ 11). 30 of the 175 constituents whom I traveled with had the chance to meet with him, behind closed doors, for ten minutes in groups of ten to fifteen. It’s unsurprising just how disappointed I was in parts of the experience. I found myself standing outside of Senator Tammy Duckworth’s(D-IL) office in a fog. When I stepped through the door, I was met by some very pleasant staffers who asked about my business, and I sort of stammered through what I had come there to say – I was grateful for Senator Duckworth’s work towards better equality for disabled Americans like myself, and I am working as an activist to get better access to reps for disabled people. But I had mostly just come there to say thank you to her. Personally, if I could, but I knew that wasn’t really possible without an appointment and a real agenda. I didn’t have a chance to meet with her (or any of her staff) but I got a business card, and given that I went there purely on instinct, that’s probably for the best. 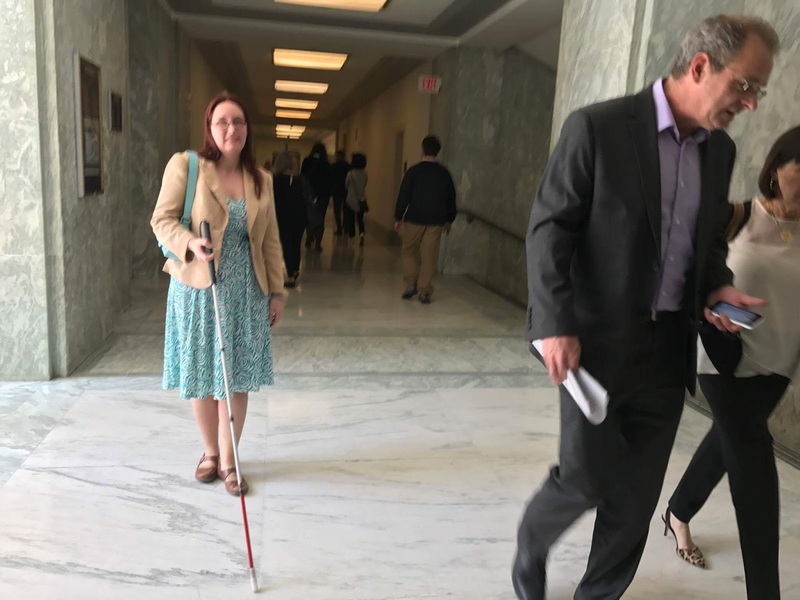 I went to Senator Tammy Duckworth’s office in a fog, because my House Representative couldn’t look me in the eye and tell me he cared about disabled people now. Image description: photo of a group of adults that range in age and gender, most who appear to be white, including Elsa Sjunneson-Henry,the woman on the very right of the group holding a white cane. Some individuals are holding protest signs. This is part of "Fridays with Frelinghuysen," a series of weekly protests organized by NJ 11th for Change that take place in front of U.S. Representative Frelinghuysen's Morristown, NJ office. He couldn’t give me a straight answer on the one thing I really wanted to know, the thing I asked him flat out. I asked: would he commit to a town hall in person, that was accessible to all disabled people regardless of their disability. Representative Frelinghuysen (R-NJ11) did not give me an answer. Certainly, not a satisfactory one. If asked to translate what he said to me from “political dodge speak” to English, I’d tell you that what he said was maybe. It wasn’t a yes, it wasn’t a no. He could tell me he had a long history of working with disabled organizations for disabled people of all kinds. He could choke out the word “disabled” in place of handicapped just barely. Quoting your record at someone asking to be an equal constituent, to your face, is pretty disheartening. I found myself wondering if he even understood what he was saying by not answering the question. Because in not answering, he basically made it an open question of whether or not he believes in my right to access. Being a disabled woman wandering the halls of the House and the Senate was an interesting experience. It might be the first time that I didn’t feel manhandled. I don’t know if that’s a virtue of everyone being super busy, and therefore not noticing the cane, not bothering to grab my arm because I looked confident and determined, or because they knew better, but I felt strangely at home in those cavernous hallways where people didn’t stare at me. The staff in every single office I entered were polite, I barely interacted with Freilinghuysen’s staff myself because we arrived swiftly and were greeted at the door by our Representative. I think he had hoped that we would be easier to sway to his favor. Unfortunately, we left with unsatisfactory answers to a number of our questions, many of which are questions of safety, security, and happiness. The buildings were mostly accessible, the people I walked past didn’t jump over my cane, or ask me if I needed help, or stare. Every single Congressional Aide I met was polite and treated me like an equal constituent. The only person who didn’t was my actual representative. So I went to the one office where I could ask some questions of how to enact change. An office where a disabled woman holds the power, and where her staff know the ins and outs of disability, accessibility and governance. I’m determined to continue the fight, to continue the quest for equal access. I’ve found myself in a position where I’m asking for something I’m not being given. I’m asking for real accommodations, not just for myself, but others like me. I’m asking for accessibility and equality, and I’m not going to stop until I get it. Disabled Americans are still Americans no matter what. Disabled campaigners are launching a UK branch of international group @CripTheVote (@CripTheVoteUK) to put urgent disability issues on the UK General Election 2017 agenda. CripTheVoteUK is asking supporters to join in online today and be part of the campaign by sharing the hashtag #CripTheVoteUK, and sharing photos with their poll cards and a commitment to “spend 10 minutes to save 10,000 lives” by using their vote this 8 June. “At this point in time, disabled people are quite literally voting for our lives,” said Dennis Queen, a campaigner in CTVUK’s network . “We need ALL voters to know this is an emergency for thousands of disabled people and help us fight back,” she added. 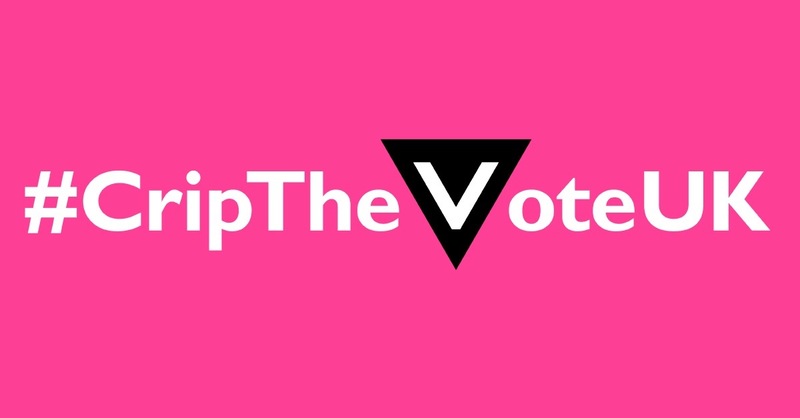 CripTheVoteUK aims to ask voters to think about how their vote affects us, to encourage disabled people, our friends and families to register if needed, go postal if it's more accessible, and USE their vote in the General Election. Disabled voters, our families, the families of disabled children and close allies make up around half of the voting population - enough people to create a big effect on what happens in the General Election. 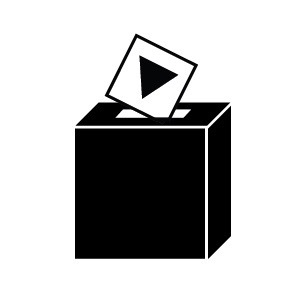 CripTheVoteUK would hope to find disability issues on the agenda of ALL political parties, so we will share their relevant material and generate discussion about the issues affecting disabled people, including children. CripTheVoteUK does not promote any party or group, but we are not non-critical. We also cannot ignore or condone that disabled people of all ages, and our families, have been grossly harmed by the existing government, which has come under investigation by the United Nations and our own Equality and Human Rights Commission, both of whom condemned them for many abuses, including thousands of deaths which could have been stopped. #CripTheVoteUK is shaping up fast, in keeping with the United Kingdom's typically fast-track approach to elections. Whether you are in the UK and have a direct interest in disability policy there, or are simply interested from afar, be sure to read the tweets, contribute your own, join the chats, and visit the #CripTheVoteUK social media sites. And of course, when you have something to say, make sure it's included by adding the hashtag: #CripTheVoteUK. 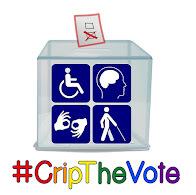 If you want to share it with #CripTheVote too, you can always add that as a second hashtag. What is #CripTheVote – and why do we need it?